Pollard (John Graham), 1929-2007 - Italian Renaissance medals in the Museo Nazionale of Bargello : Medaglie italiane del Rinascimento nel Museo Nazionale del Bargello. 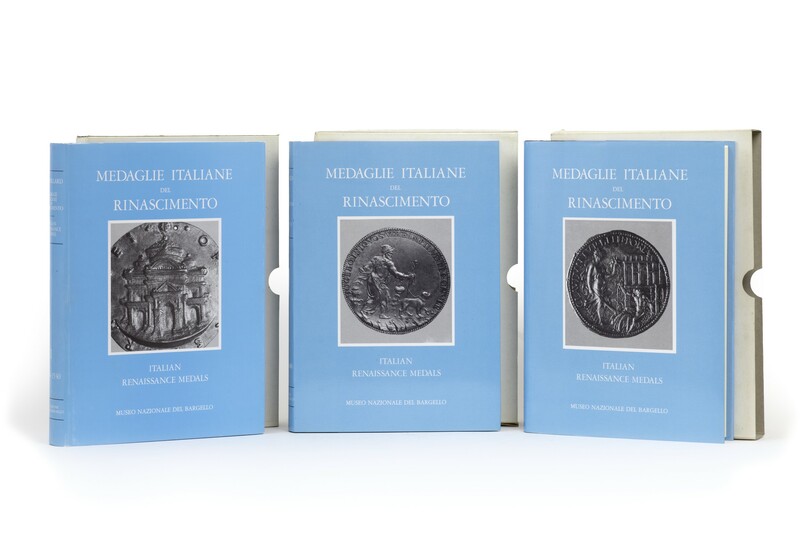 Home > Art: Medals, plaquettes>Numismatic literature: Bibliographies, collection catalogues, exhibitions, studies>Italian Renaissance medals in the Museo Nazionale of Bargello : Medaglie italiane del Rinascimento nel Museo Nazionale del Bargello. Italian Renaissance medals in the Museo Nazionale of Bargello : Medaglie italiane del Rinascimento nel Museo Nazionale del Bargello. 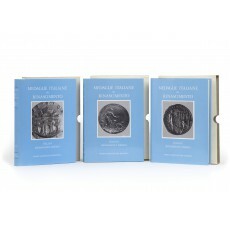 Three volumes (32 cm), I (1400-1530): xlvii (1), 608 (4) pp.,  p. of colour plates, black & white text illustrations. II (1513-1640): (6) pp., pp.-1191 (5),  p. of colour plates, black & white text illustrations. III (1513-1640): (6) pp., pp.- 1618 (4),  p. of colour plates, black & white text illustrations. Uniform publisher’s cloth-backed boards, pictorial dust jackets. - Bilingual catalogue of 886 medals, each shown in actual size, often supplemented by enlarged details. Nearly a quarter of the pieces recorded are medals of the Medici and the catalogue notes contain “some new information about Medicean patronage and collecting, gleaned from the archives”. 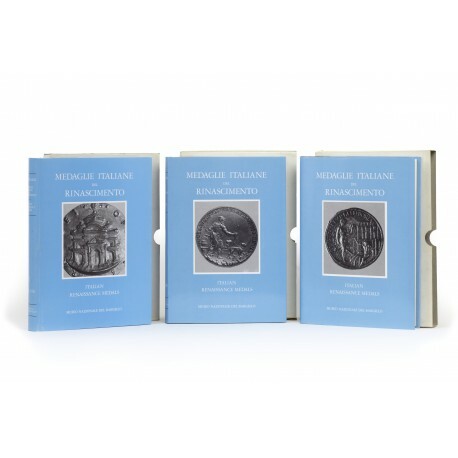 “This is the most important publication on the medals of this period since Armand’s Les Médailleurs Italiens (2nd edition 1887)” (quotations from reviews by Mark Jones in The Burlington Magazine, volume 127, 1985, pp.809-810; volume 129, 1987, pp.194-195. ¶ Very good, unmarked set.